An elegant ring set with an oval-cut honey colored citrine weighing approximately 3 carats, in a silver mount typical of the time. Stamped with French hallmarks, and a lozenge for the maker. 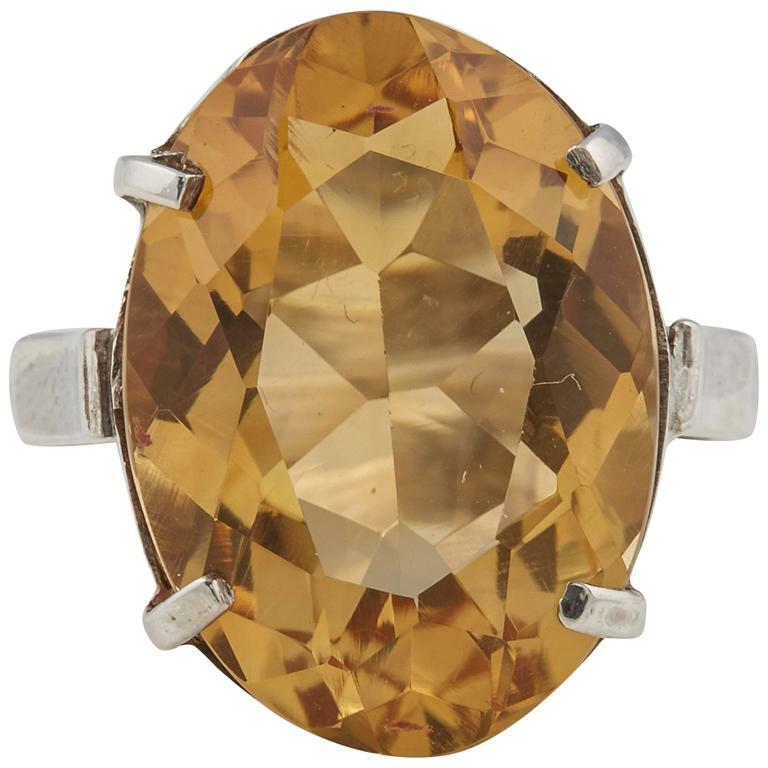 The citrine 17.4 mm x 12.5 x 7.5 mm.